Funny enough, even though I came from a more English cooking background, I didn't grow up with meatloaf on the menu. I always thought it was just a boring slab of meat with no flavour. And to be honest I continued to think this until I stumbled across a glazed meatloaf in a cooking magazine. Inspired at how amazing it looked, I started playing around with my own recipe. 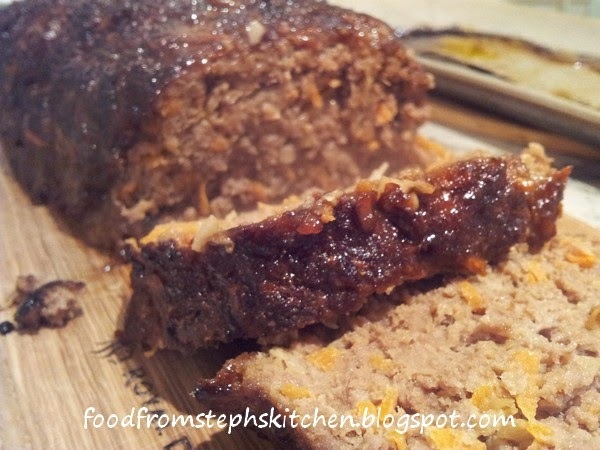 Over time it has adapted into a more Asian inspired glazed meatloaf, using kechup manis for the sticky part of the glaze along with a little bit of chilli powder for a little bit of a heat (don't worry, it's not much!). 2. Add all your meatloaf ingredients into a large bowl. 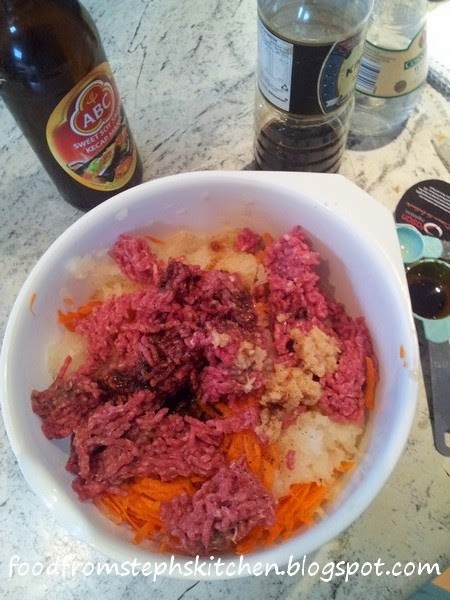 Using your hands, combine all the ingredients and roughly mix the meat until the mince becomes a little smooth instead of it's "wormy" look you started with. Doing this uses the fat in the mince as an extra binding ingredient and the meatloaf won't be as grainy once cooked. 3. 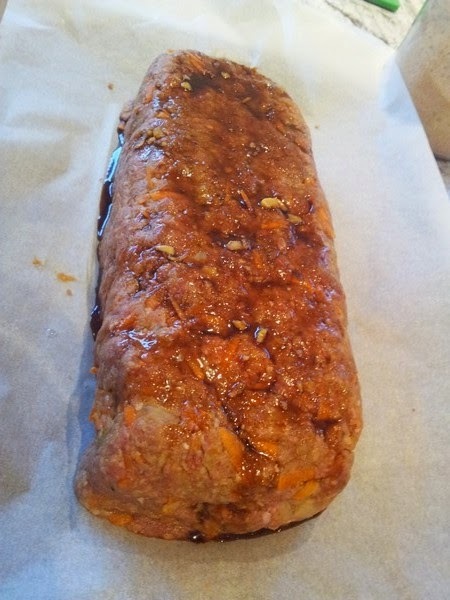 On a baking tray lined with non-stick baking paper, shape the meat into a long log - around 30cm in length. 4. 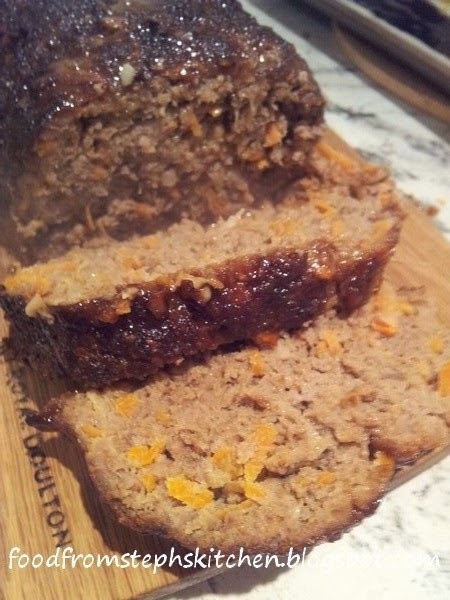 Combine all the ingredients for the glaze and drizzle two teaspoons over your meatloaf. 5. Pop the meatloaf into the oven for 25 minutes before added half of the left over glaze. I use a teaspoon measurement and drizzle it over the top and sides to ensure I get as much of the meatloaf as possible. 6. Cook for a further 15 minutes and add the remainder of the glaze in the same way. Then, cook for a final 10 minutes until the glaze is nice and sticky on top. 7. Serve with your choice of side (we love salad and chunky mash!). We like to drizzle a little bit of the glaze from in the tray over the top before serving, but you don't have to. 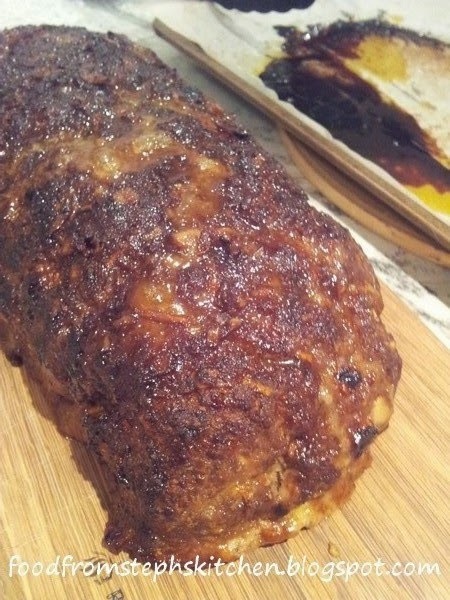 What an interesting glaze for a meatloaf. It is on my to do list. Thank you 😊 It is a bit different but it's so yummy. I'd love to know how you go if you try it.